Mince has got to be the most economical, convenient and versatile way to add meat into our diet. It’s easy for kids to eat, can be spruced up for guests and can be cooked in a jiffy. No wonder it’s a staple in kitchens around the world 1. We Aussies love mince. Not only does mince feature in our national iconic meal – the humble meat pie – it’s also the star ingredient in other foods we’ve claimed such as sausage rolls and chiko rolls. And we’ve even made it into a portable convenience food by air-drying it! But despite numerous advantages, are you still a little sceptical about what is actually in your mince? What else, if anything, is in my mince to make it cheaper to produce? Is mince just a convenient way of selling ‘left-overs’ or bits of meat that are unusable? You’ve heard the stories. 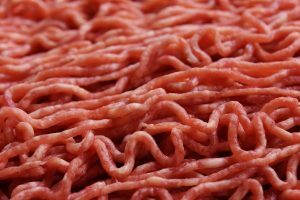 In recent years ‘fillers’ have been used to bulk out mince – horse meat masquerading as beef in Europe, and in the US, it was pink slime. Therefore, it does beg the question about what else is hidden in our mince in Australia that we’re not aware of? Is there more than just meat in your mince? Jump straight to the take-home tip? Mince: Exactly what’s In it? The regulations about what is allowed in mince in Australia is simple. It is allowed to contain 100% muscle meat (ie. meat that was attached to bones). That’s it. Nothing more, nothing less. But despite these simple guidelines, there is usually more to mince than meets the eye. And what’s more, meat that is sold as ‘fresh’ doesn’t always mean natural or 100% pure. What Cuts of Meat are Made into Mince? Basically any meat without gristle is suitable for mincing. But it would be foolish to mince the choicest cuts, when there are other options available. Not every cut of meat is equal – some make great steaks or chops and others tasty roasts. Some pieces are either too small (called trimmings) to be useable or are too tough to be tasty as whole muscle cuts 4. So, to get maximum use out of the entire animal and operate sustainably, these smaller pieces and lower grade cuts are collected and put through a mincing machine. Sometimes mince is given a specific label, such as topside mince, indicating the specific primal that it was taken from, but mostly mince is made from a wide range of meat cuts and trimmings, and may come from multiple animals. Why Use Trimmings and Secondary Cuts to Make Mince? Put in perspective, this is approximately 100kg (~50kg of trimmings and a further 50kg of secondary cuts) from a 260kg beef carcase that are destined for a brighter future as mince. These trimmings and tougher secondary cuts represent a large portion of meat that would otherwise not be particularly useful, and may be wasted. By mincing them, the meat from a whole animal can be processed responsibly and completely. Mincing the trimmings reduces the overall cost of mince, and gives consumers options for more economical meats for different meals. While it is a simple process, making mince successfully involves a few key elements. Mince is made by finely chopping meat trimmings with an electric mincer (also known as meat grinders in other parts of the world). As meat is forced through the holes of the cutting plate, a spinning blade cuts across the holes several times per second. By changing the size of the holes in the metal cutting plate, different coarseness of grind can be achieved. Due to the friction involved in this process, some heat builds up. Therefore, it’s vital that the meat is handled as little as possible and both the meat and mincing equipment used must be kept very cold. This ensures the meat is cut cleanly, and prevents the batch from becoming a meat paste or the fat melting and separating from the meat. Mostly it’s a single pass through the mincer, but sometimes the meat is minced several times to make it very tender. Did you know? 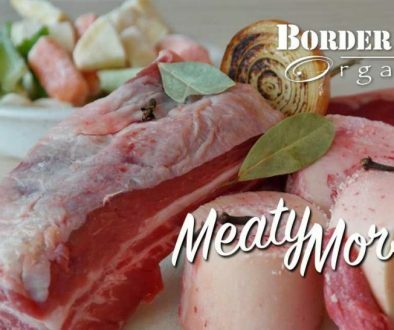 Unlike some other red meats, lamb usually only needs to go through the grinder once because it is finely textured. Why is Mince a Good Choice? What Type of Mince is Most Popular? 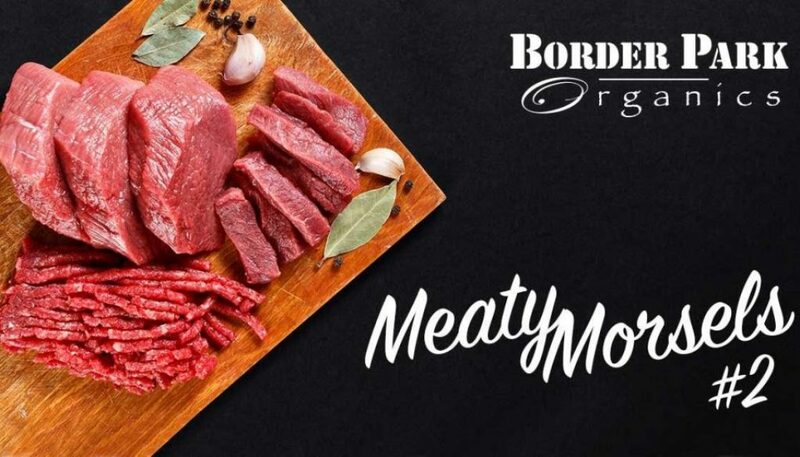 Beef is the mince you’ll most likely see at an Australian supermarket or butcher, representing approximately 30% of all beef dishes served here 7, but it’s also easy to source pork, chicken and lamb mince. In Australia, mince is typically from made from chuck, blade, brisket, topside and round steak. Ground Beef vs Beef Mince: Is there a Difference? This is a likely to be a controversial topic depending on which continent you live! The simple answer is that Australians and British mince their beef and refer to it as minced beef. Americans and Canadians grind theirs (usually 2 or more times) 8, 9 and call it ground beef. But the machines they use and the end product are basically identical, and in the modern food service industry, the terms and products may be used interchangeably. Ground meat, however, is different to hamburger, which may have additional ingredients such as fat, water, extenders, colorants, and spices. 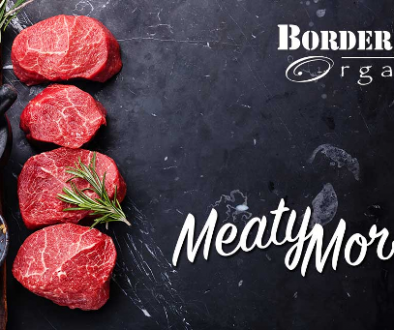 However, depending on the country, there may be no regulations surrounding the terms ‘ground meat’ or ‘mince’, so it pays to read the label! Few foods provide as much zinc (a mineral vital to growth and a healthy immune system) as lean mince. What Else Is In My Mince Beside Meat? We’d like to believe what we’re told, but occasionally it pays to ask questions. Especially when it comes to the food you’ll feed your family. And because sometimes you get more than you bargained for – especially if it’s easily hidden. One such alarming example is the use of an odourless white powder called sulphur dioxide, a chemical compound preservative often found in mince. It was the Romans who first discovered that sulphites were an excellent preservative for wine. From these early days, sulphites (preservatives 220 – 228) have helped extend the shelf life of many foods. They assist in preservation of food flavour and colour, inhibiting bacterial growth, reducing spoilage, and stopping fresh food from spotting and turning brown. In the early days of meat retailing, before efficient refrigeration and packaging, the chemical sulphur dioxide was used to maintain the freshness of meat. With the advent of refrigeration this practice became unnecessary, and since the mid 1980’s has been banned in mince and diced meat. Nowdays, although mince naturally has a short shelf life, in Australia, New Zealand and parts of Europe it is not permitted to have any preservatives added 12 (unlike sausages, sausage meat and hamburger patties). Due to its large surface area, fresh mince has the potential to contain numerous bacteria and have a shorter shelf life than other meats 13. Because mince spoils quickly (and should be used within 2 days of mincing), meat retailers often use sulphur dioxide as a preservative. This way mince can be displayed for longer as it still looks fresh and bright red. protect consumers from shonky retailers who adopt poor hygiene and inadequate storage temperatures 12. Meat retailers, by adding a sulphite preservative, are able to mislead consumers about the freshness of mince. What are usually obvious signs of spoilage (from high numbers of bacteria) – discolouration and putrid smells – are masked and consumer safety is put at risk 12. Despite being illegal, frequently sulphites (namely sulphur dioxide or #220) are added to mince in Australia, since they are a very effective preservative and help maintain or restore the rich red colour of ‘fresh’ meat long after the meat has ceased to be fresh. In 2003, 53% of mince samples contained illegal sulphites as part of a NSW food authority survey, and the sobering fact is that Australia continues to be plagued with additives hidden in mince 15. What’s the Problem with Sulphites in Mince? By using sulphites in mince retailers can enhance it to keep it looking fresh and display the batch for longer. The trouble is that consumers are none-the-wiser, and may end up cooking and eating meat that is spoiled. Not only can sulphites cause asthma and severe allergic reactions, they destroy thiamine (vitamin B1), which is naturally occurring in meat. This means consumers miss out on the benefits they are expecting and may even contribute to a thiamine deficiency. See NSW Food Authority (PDF) for more information on allowable sulphites in meat products. Mince is often valued for its convenience and its price, yet there still remains a certain amount of mystery around this versatile product. It turns out that we may end up paying for more than just mince. Despite the fact that meat with no additives ranked in the Consumer Top 5 Priorities 16, sometimes sulphur dioxide is used in mince to help retain a bright red colour that often signals ‘freshness’ and increases its appeal. Often the level of sulphites used in mince are equal to the allowable amount used in sausages (up to 500/mg per kg). This practice of adding sulphites to mince is still widespread in Australia 17, 18, and indeed the world. 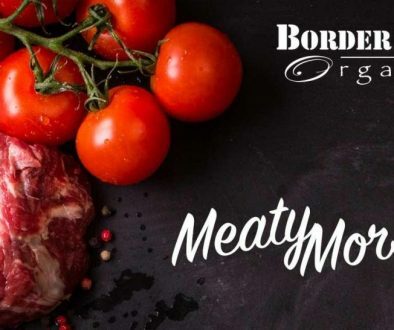 Continual monitoring by food safety inspectors and hundreds of butchers who have been prosecuted 19 haven’t deterred some meat retailers from unscrupulous behaviour. This deep-seated issue needs to be approached conscientiously by all parties, from farmers to consumers, to a ensure successful outcome. “Regulations can go a long way towards protecting people, but there’s no substitute for knowledge.” 20 says US Food and Drug Administration Consumer Safety Officer JoAnn Ziyad. While it’s concerning that there are many cases of illegal use of sulphites in mince, there are some pro-active things you can do! Those with sulphite allergies may wish to test the mince with sulphite test strips. Return home to see all we offer or browse our online shop. Nothing like a bit of light reading on a Friday morning 😉 I really enjoyed reading that actually. Some interesting facts and things to think about!